Oh, my gosh!!! I’ve been painstakingly growing out my bangs for the last… How long’s it been? A month and a half? 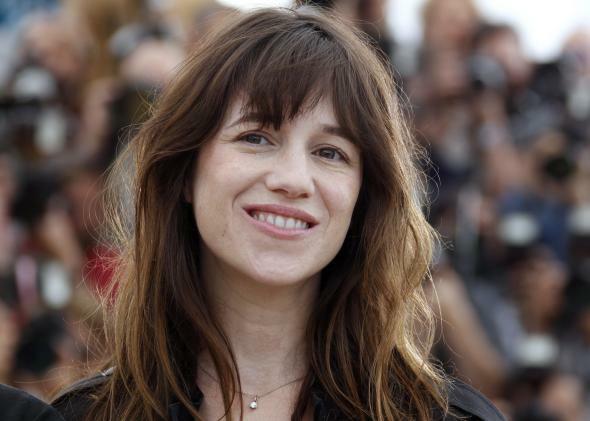 But now I’m this close to throwing in the proverbial hair towel and chopping them off because of Charlotte Gainsbourg. And makeup inspiration, too! Charlotte’s new collab with NARS is kind of incredible. It completely contravenes the whole more-is-more thing happening in makeup, like an anti-Instagram/heavy contouring/blinding highlight kryptonite, with sheer coverage, sheer skin, sheer cheeks, sheer lips and barely-there color on the eyes. It’s fresh, easy, approachable, and very evocative of Charlotte’s makeup style (and mine right now). In most of the pictures I’ve seen of her, Charlotte’s skin looks real! She’s wearing very minimal coverage (most of the time, it doesn’t look like she’s wearing any foundation or concealer at all, but I think she probably is), maybe with a pink or dark lip, barely-there color on her cheeks, and lashes and liner. Or she’ll do a subtle smoky eye with neutral lips, which seems like a very French aesthetic to me. Charlotte is half French, half English and the daughter of two famous people, English singer Jane Birkin and French actor/songwriter Serge Gainsbourg, and she’s starred in more than three dozen movies, many of them in the UK and France. Her experience with movie and stage makeup inspired this launch. 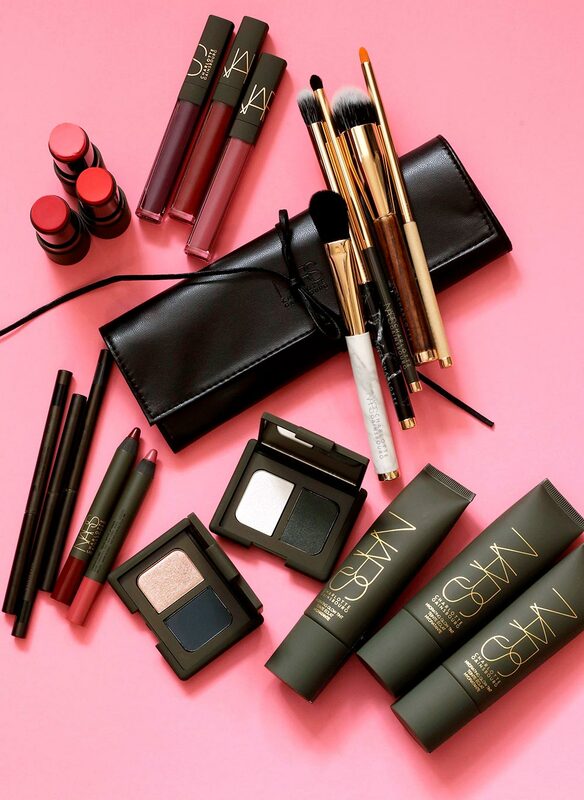 The collection encompasses 18 LE pieces and arrives on April 15th with lots of exciting new formulas, including things we’ve never seen from NARS before, like the Hydrating Glow Tints, Lip Tints and Velvet Duo Eyeshadows. 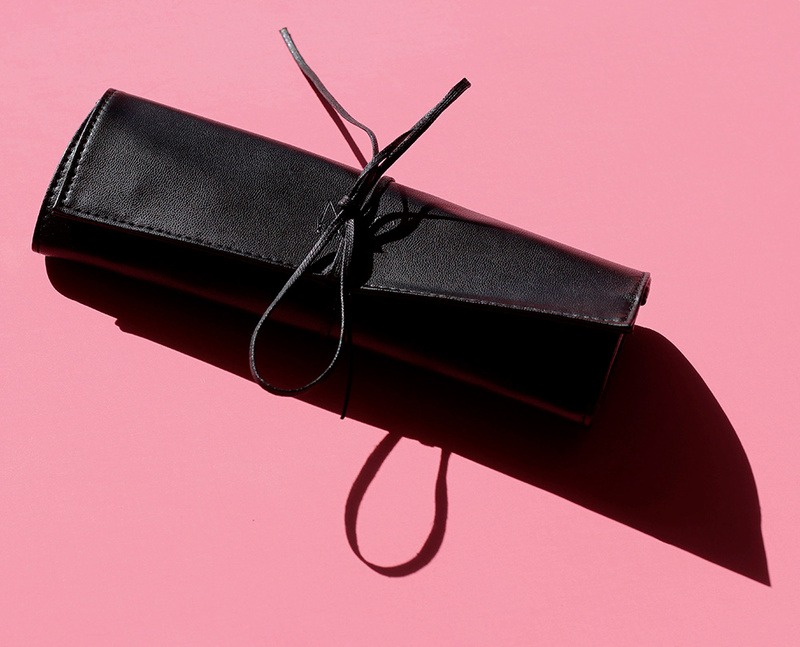 There are also three new shades of the Multiple Tints (which are still relatively new) and the snazzy Au Poil Brush Roll, which is — wait for it — $175 (!). 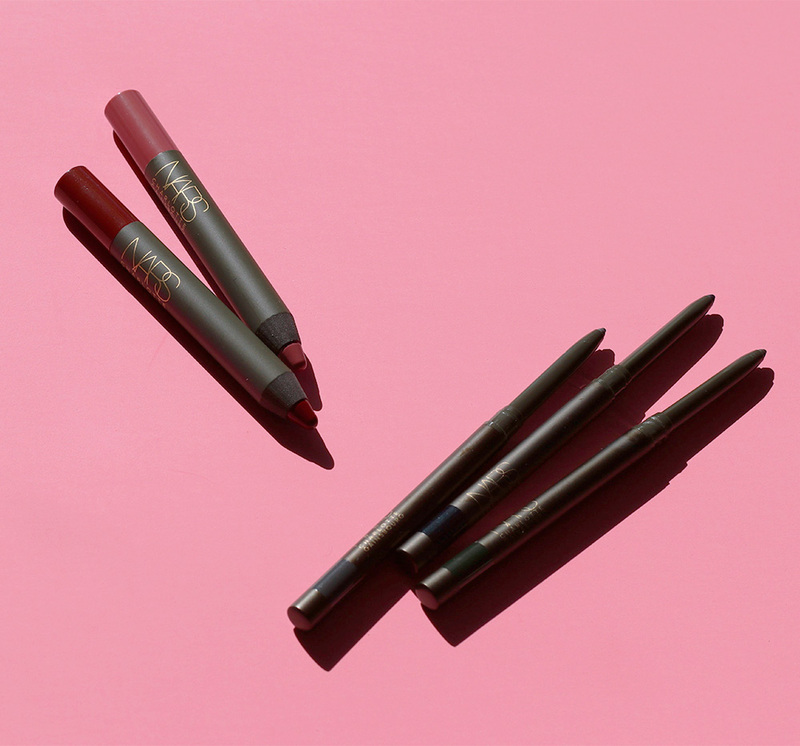 There are also some shade extensions of products from the existing line, three new limited edition Kohliners and two LE Velvet Matte Lip Crayons. 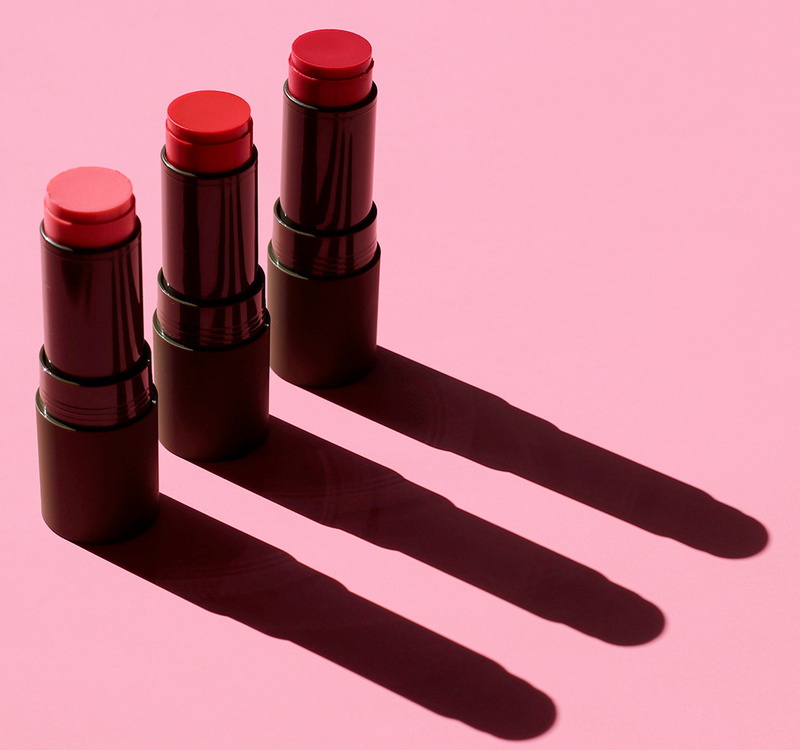 These have a super sheer, fluffy, cream-like formula that feels lighter than a butterfly kiss. They even out your skin tone with the faintest hint of a tint and a subtle sheen. They don’t really cover anything up, to be honest. You can still see my freckles in these pics, and my cheeks aren’t completely even toned, so it’s a VERY natural look. 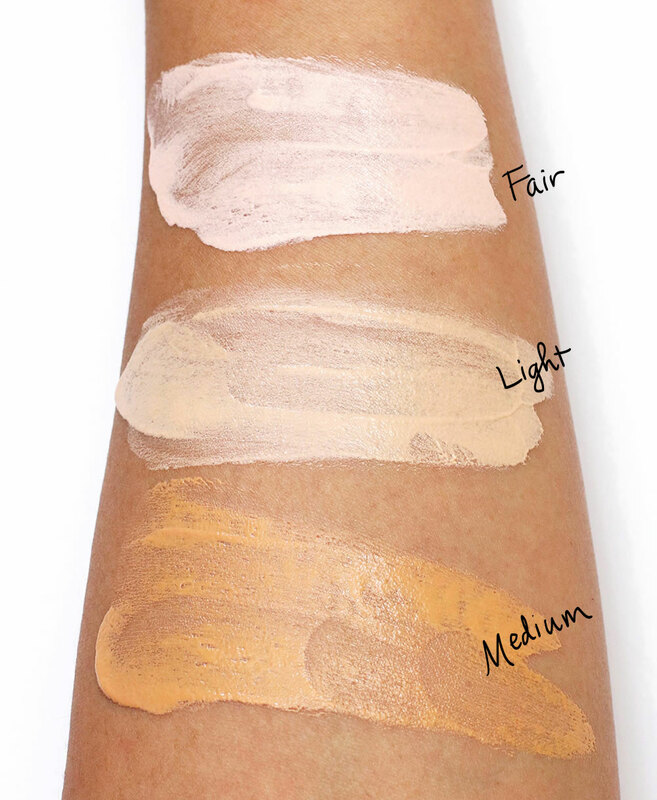 I wear the shade called Medium, and after applying and blending it with my fingers, my skin looks…freshly washed. That’s the best way I can describe it. It’s the look of freshly washed skin. I like it. 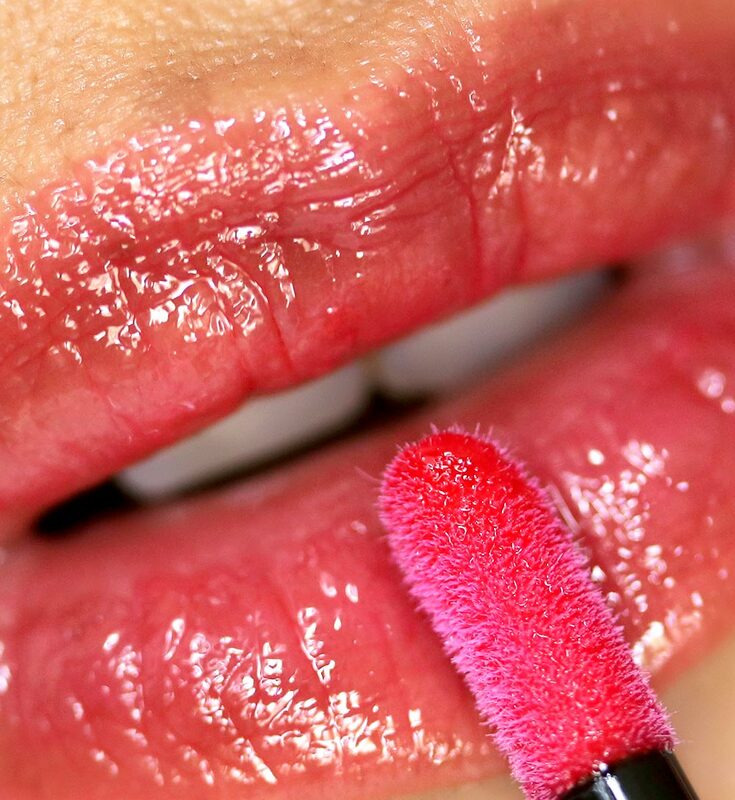 It’s makeup-caliber interesting. These moderately pigmented pretties feel thin on my pout and barely there. They aren’t sticky at all, and they’re also unflavored and unscented. Am I wearing gloss at all? With these, based on how light they feel, it’s hard to tell. A completely new formula! When I run my finger across the pans, oh, my jelly beans… SO soft. SO schmexy. The shadows sheer out quickly, which I think is very in tune with the whole sheer vibe. 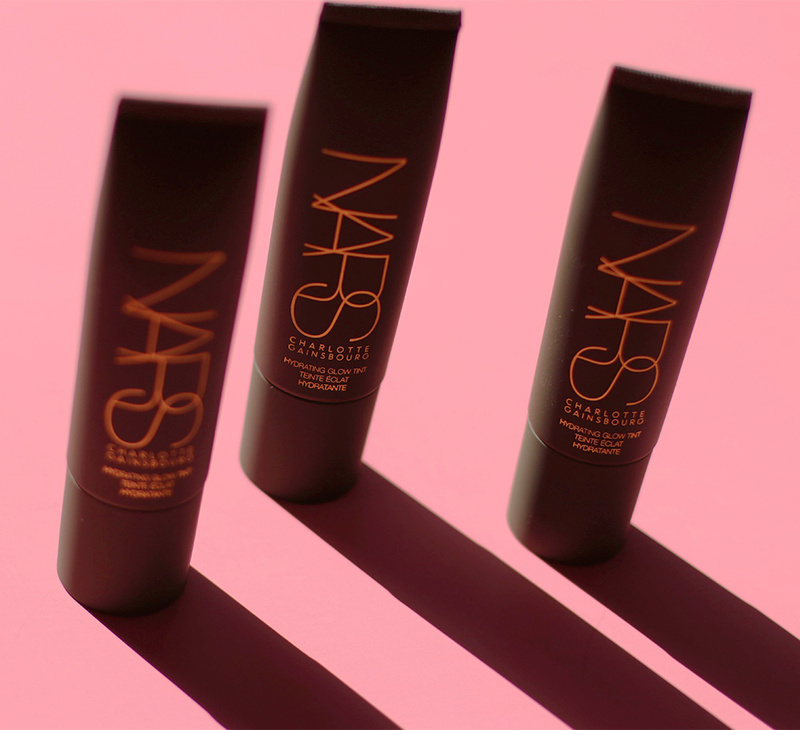 The Multiple Tints first launched with the NARS Pop Goes the Easel collection, so they’re still pretty new. These add a little bit of sheer color to my cheeks and have a dewy finish. When I’m wearing them, it doesn’t look like I’m wearing a lot, so again, the whole effortless makeup thing. Diggin’ it. Wearing the Multiple Tint in Jo on my cheeks, Velvet Duo Eyeshadow in Old Church Street and Kohliner in Nuit D’Encre on my eyes, Hydrating Glow Tint in Medium on my face and Velvet Matte Lip Pencil in London Clinic on my lips. And here I’ve got the Multiple Tint in Jeanette on my cheeks, the Velvet Duo Eyeshadow in Rue Allent and Kohliner in Cours Du Soir on my eyes, Hydrating Glow Tint in Medium again on my face and Velvet Matte Lip Pencil in London Clinic again on my lips. 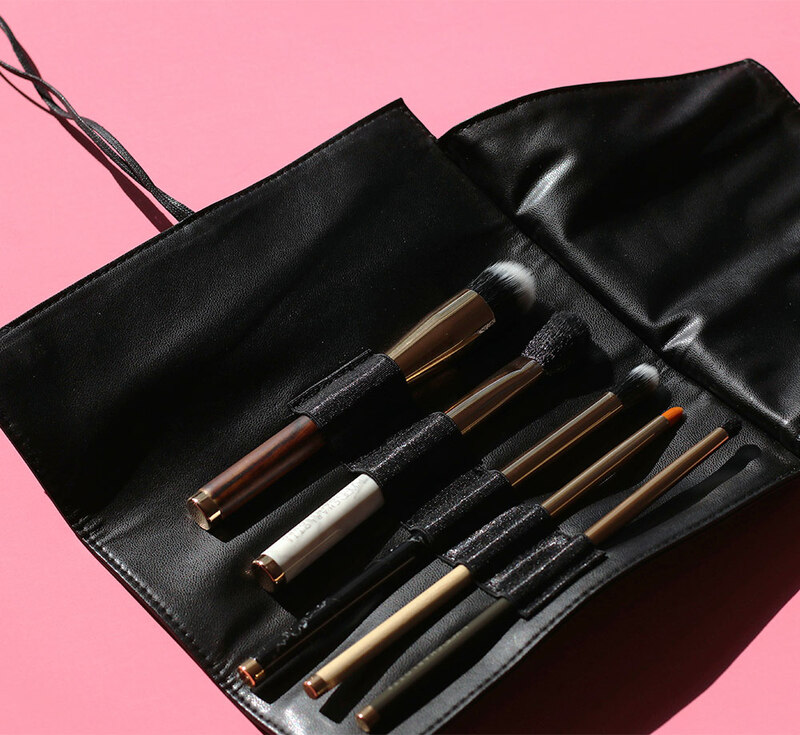 The Au Poil Brush Roll comes with an Eye Blending Brush, Concealer Brush, Eyeshadow Brush, Face Highlighting Brush and a Face Brush for a staggering $175. Notice the different brush handles? I gotta say, I really like the small brush heads, especially for the eye brushes, because my eyes are slightly hooded, and these fit my crease perfectly. Same-o, same-o potent pigments, and a nice counterpoint to all the sheerness. These stick well to my upper water and lash lines, but for the life of me I can’t get them to stick to my lower water lines. Plus, when I smudge them along my lower lash lines, they end up looking choppy. So there’s that. And those are my first impressions! I have grand plans to play with these products a ton over the next couple weeks, but so far, so good. I’m loving the whole sheer thing. Next Post: Have You Ever Cut Your Own Bangs? Hm…I was soo excited for the sheer hydrating tints but now I’m wondering if Medium-Dark will work for me? 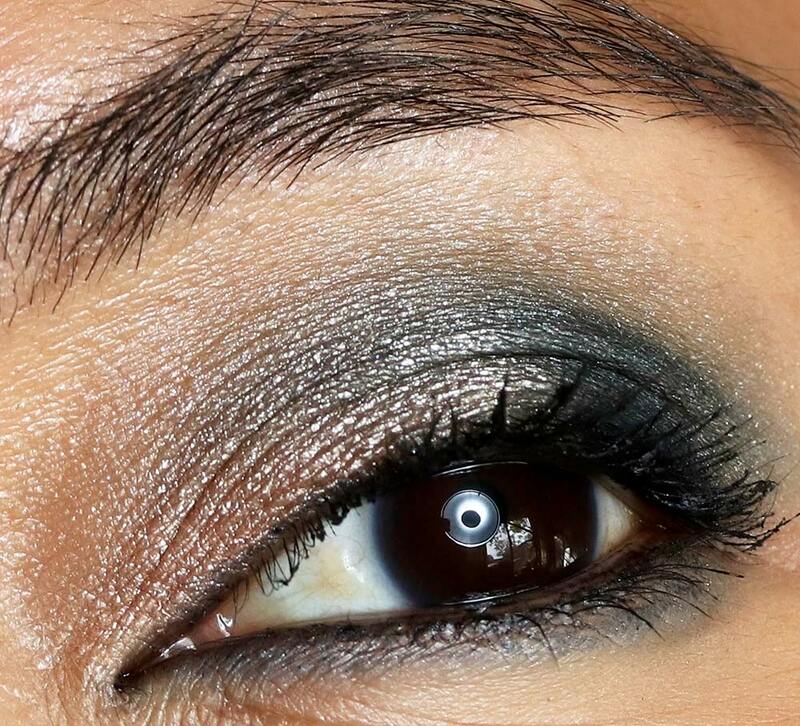 The eyeshadow duo in Old Church Street looks beautiful on you, as do the glosses! 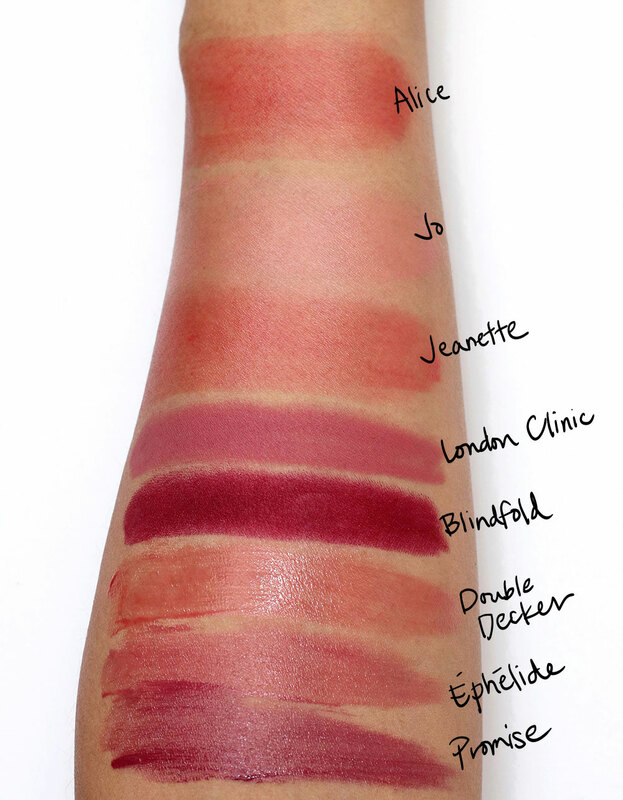 I wish I could tell you for sure, but I didn’t get to swatch it. I’m guessing it’ll work because they’re so sheer, though, so you should have a lot of leeway. Ooh soo pretty! I love this kind of soft sheer look. London Clinic is the prettiest color of matte pencil! Agreed! It’s the one I wanted to get on my lips first. 🙂 LOVE those soft pinks. I would LOVE LOVE LOVE to see you use the London Clinic again (and again!) in future looks. Would be cool one day to see you were London Clinic in a look with casual hair, or a bare/natural kind of look. It looks so ladylike and proper here, but I bet it would go so well with glow skin & a beach vibe! Also thought Rue Allent and the Jo cheek product were so lovely on you. 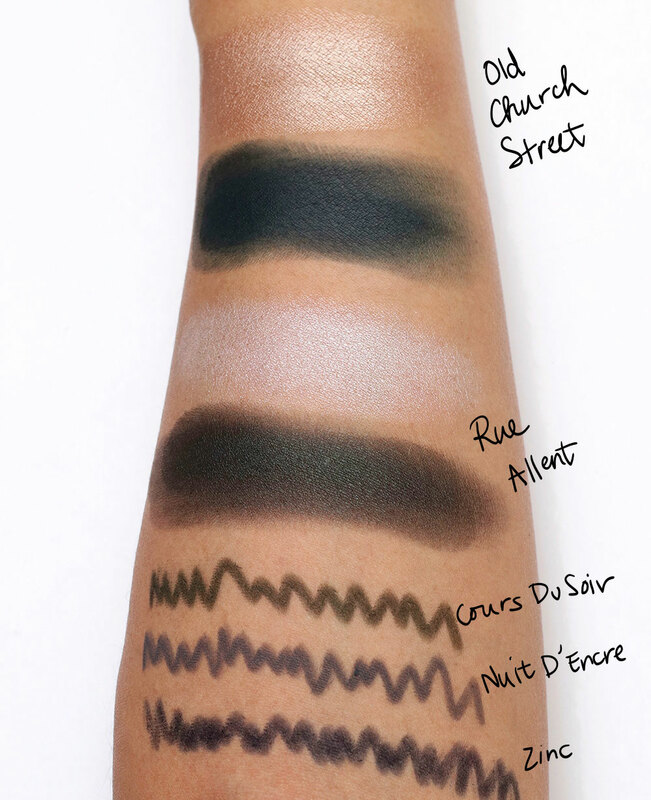 Could we ever see Rue Allent used again, please, maybe with a black eyeliner since you didn’t like the Nars ones from this collection. Thanks as always! It’s like you read my mind! I was thinking of doing a look with Rue Allent on top of a black base with lots of glossy black liner on the waterlines. And yes, a beachy look with London Clinic sounds lovely. I think it would be really pretty with a something creamy/glossy on the lids (maybe MAC Cream Color Base in Pearl?) and LOTS of lashes. that skin tint has such a polishing effect. Reaaaally pretty. Old Church street is gorgeous and a bit unusual. I never include links in my posts, but I saw a pic in a newspaper media gallery of a MAN CARRYING HIS CAT IN A BACKPACK WITH A BUILT IN KITTY WINDOW. Had to send it, obviously!! THAT MAN IS LIVING THE DREAM. I would love to walk around with Tabs in a backpack, but something tells me he won’t be down with that, LOL! He’s a mellow cat but not that mellow. I wonder how he even got kitty in the pack? Tabs would claw my eyes out. I know it is the trend, but I want a little more from my makeup. The sheer sheer trend is just not doing it for me. It looks amazing on her, but I feel like my pale face needs something to give it structure. This is a big collection! Is it my impression or is it one of the biggest collections Nars has done recently? Anyway, I have to say not everything speaks to me apart from Old Church Street which I have to make sure I grab fast! 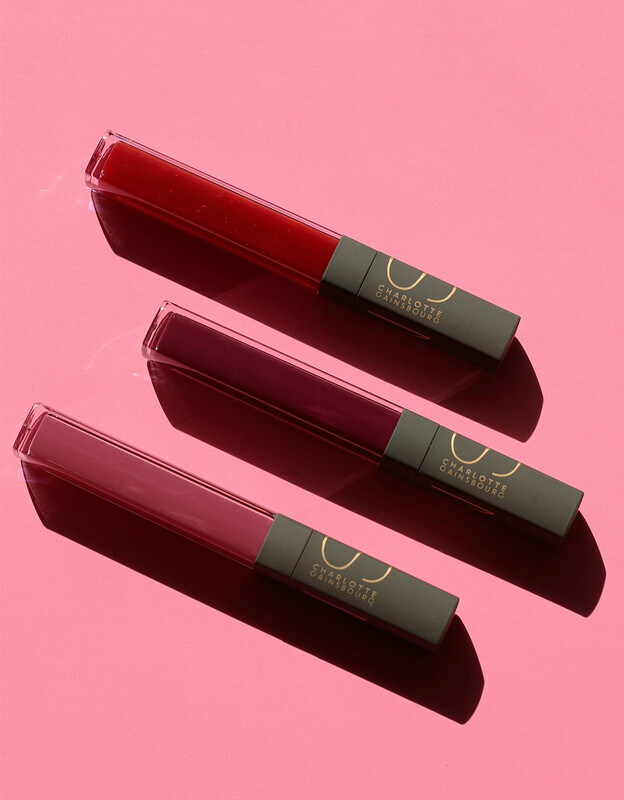 The glosses are also nice, especially the pink one. 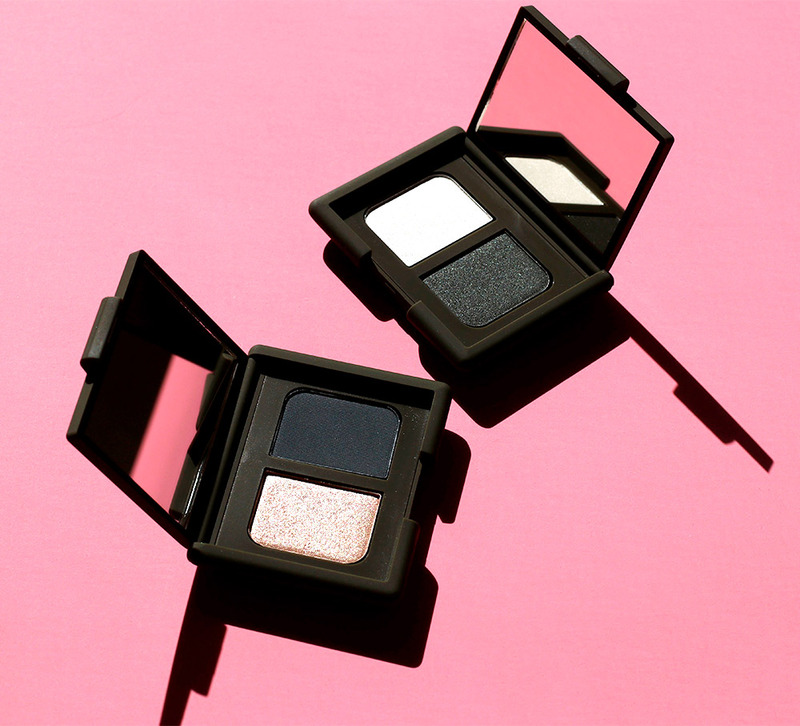 I love that Nars suggests intensity in the eyes and sheer eveything else this summer. I’m assuming that even if you can sheer those eyeshadows out, they still look pretty instense! No bronze there which is fab!! being new to the NARS line, it always seems so cutting edge. 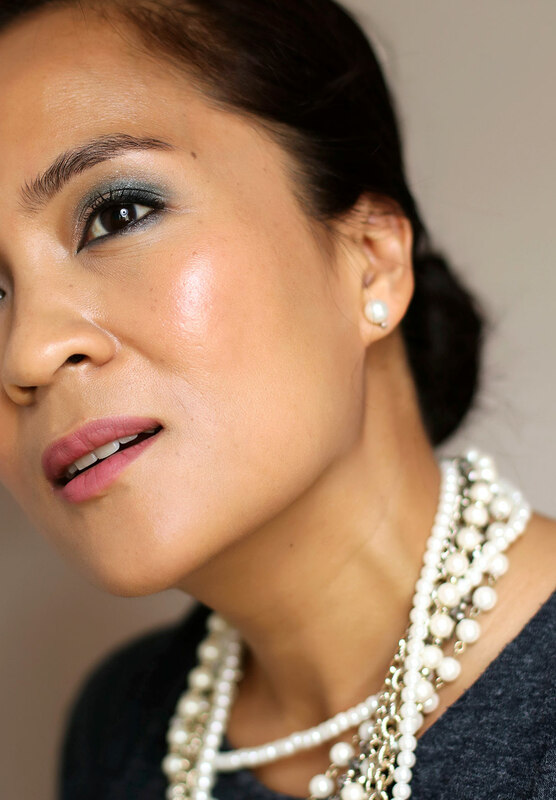 The Old Church Street eye shadow duo is gorgeous, especially on you with the strand of pearls and earrings. That is so my “evening out” look these days. I would pass on the kohl liners, they always seem so messy to me, the face tint and lip pencils, but the glosses seem interesting to me. Could be a great summer look. I love her aesthetic, and she was a contributing factor to getting the bangs I’ve grown out. I live the look, but they don’t suit me. I’m very interested in the skin tint and the Multiple tints! I’ll have to check them out. My wallet is crying, I need like 80% of this collection! Very chic and elegant looking collection–an old Hollywood feel. You look great! I think I like the London lip pencil and maybe one of the eyeshadows. I have multiple tints from years ago (Beverly Hills, Turks & Caicos and Cadaques) and they were all super weird feeling on the cheeks, almost damp/moist – like they never dried down. This collection is pure elegance and I couldn’t expect anything else/different from Charlotte Gainsbourg! In my opinion, the colour selection for lips is very chic while the eye duos are strong but not harsh. There’s a soft touch in all products! 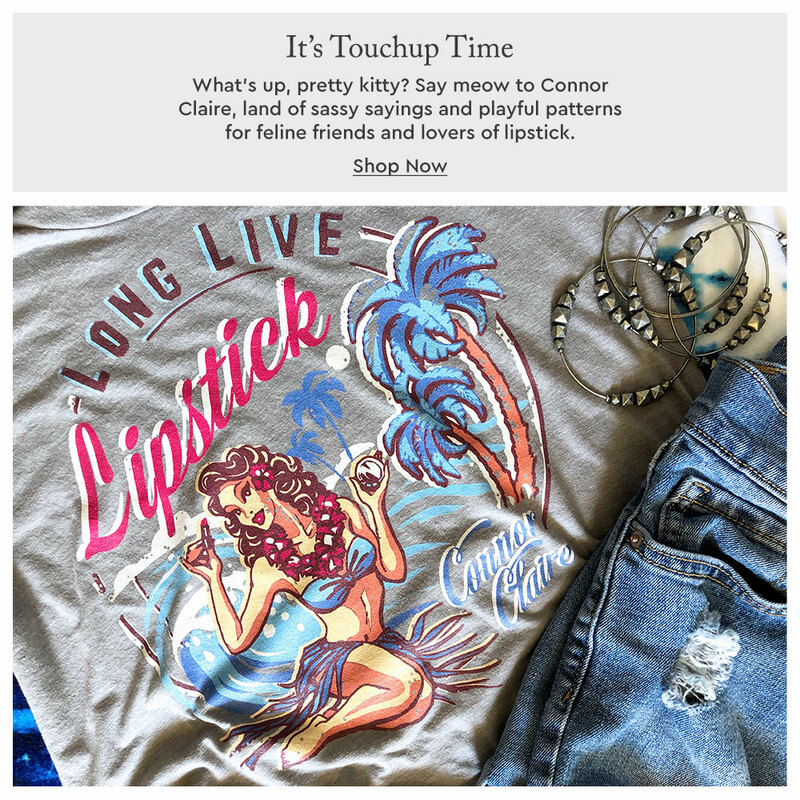 I love how you’ve styled this collection and your make-up looks! I thought the promo said there would be an entirely new Nars product in this collection, but I’m not really seeing anything that’s entirely new. Curious. Will have to check this all out in person. It’s a very French look. Most of the women I saw in Paris didn’t seem to be wearing any foundation. Then again, if I had better skin, I wouldn’t wear foundation either. I’ve been working with my derm but he keeps saying, just wear makeup. Ugh. I don’t know.. they all look pretty, but nothing wowed me so much somehow. 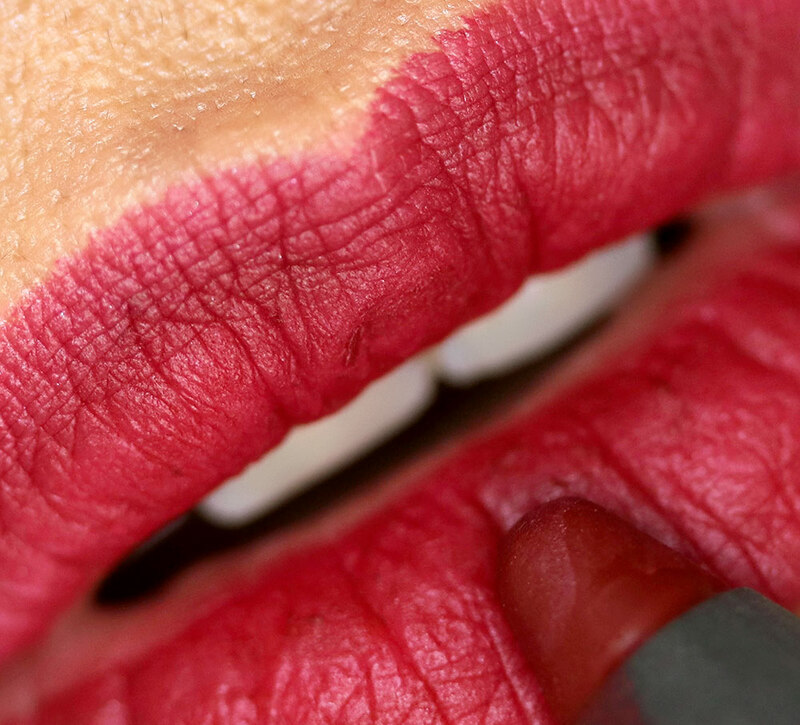 I like the eyeshadows and velvet lip mattes… just not feeling compelled enough to get any, y’know? I ended up on your blog lloking for swatches of this collection, and it looks superb on you, especially the smokey eyes. Your pictures are really good, too. 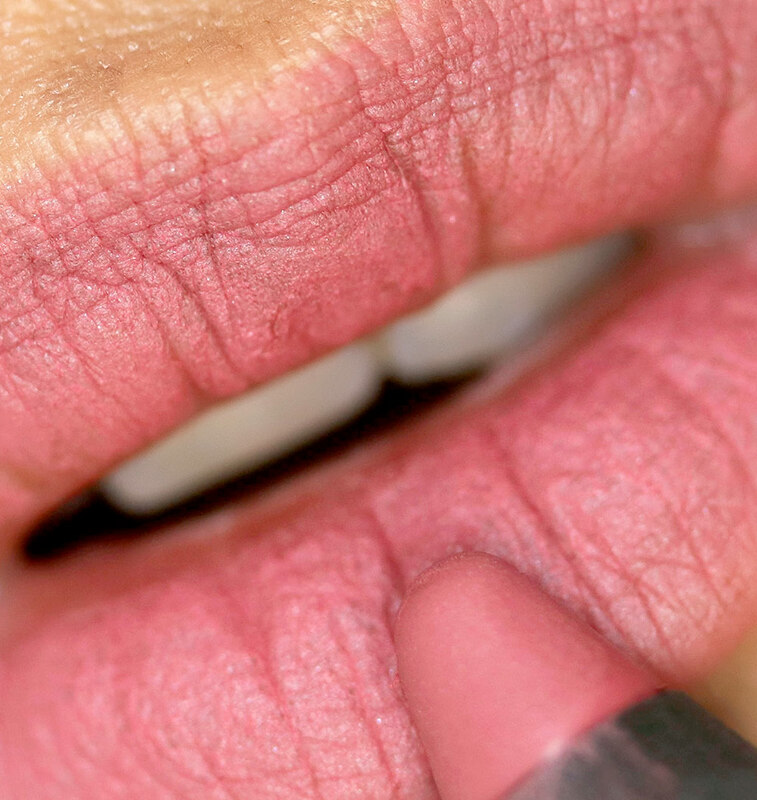 Those close-up of lips look out of a magazine. But now i still want 60% of this collection and that’s just not very reasonable . I get that most of the make-up is good, but are the bushes any good, too, or isn’t not worth it giving the efty prices ? The brushes are good, but I think you’re mostly paying for the limited edition handles, the leather brush roll and the name. It’s one of those nice extra touches for the makeup lover who either has everything or has cash to burn. If your brush collection is already fleshed out you can pass. If you’re the ultimate Charlotte superfan and you’ve got a little extra clash to splash, they’re super nice to have. What pieces are you contemplating? Maybe I can help you narrow your list down. Does the hydrating glow tint have SPF in it? I’m prone to genetic sunspots (thanks, mom), so I’m diligent about SPF in my moisturizer and makeup. I tried on the tint at NARS today and it’s lovely, but I forgot to ask about the SPF. Have you tried the bare escentuals complexion rescue? If so, how does it compare? That’s been my HG for a few years now.